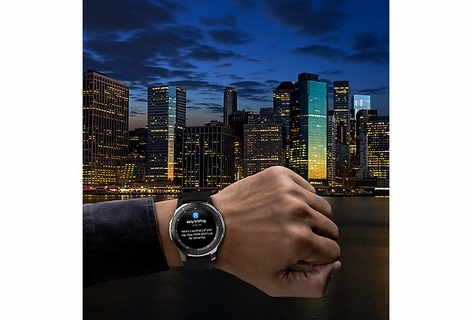 Galaxy Watch is the smartwatch that helps you stay connected – wherever your day takes you. 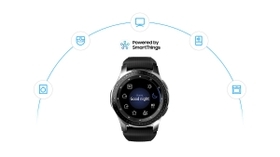 Galaxy Watch features Bluetooth connectivity and contextual information based on where you are, how you live and how you use your watch. 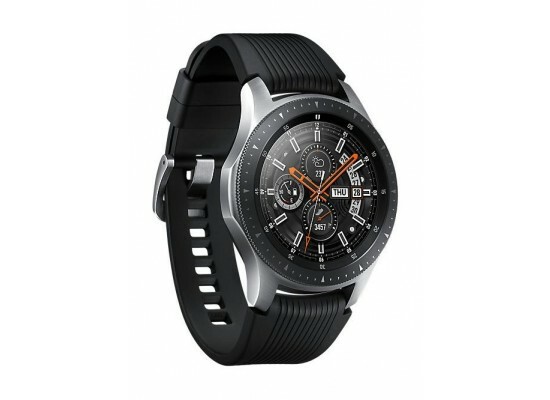 Match Galaxy Watch to your lifestyle through a variety of watch faces, depth, and lighting effects. Express yourself with your own Galaxy Watch. 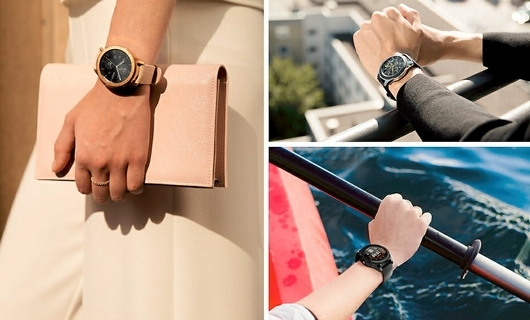 Choose between Bluetooth or standalone LTE, and a body size of 42mm (Midnight Black, Rose Gold) or 46mm (Silver). 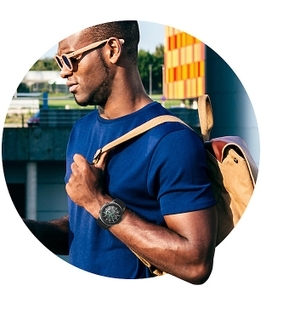 Make it your own with a customizable watch face to truly personalize your style. 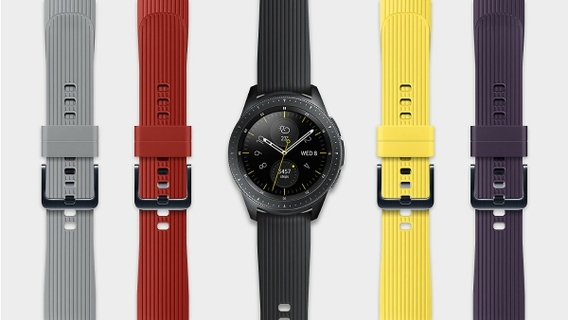 Customize your Galaxy Watch with your choice of strap. Choose one to fit your fashion or mood before you start your day. 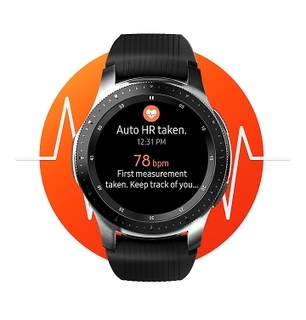 Opt for the lightweight silicone selection provided or fit one of your own - Galaxy Watch is compatible with 20mm and 22mm straps for its 42mm and 46mm models, respectively. 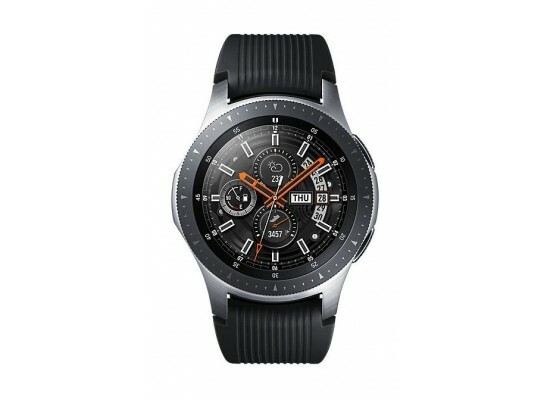 With an enhanced Always On display, there’s no need to press a button or turn the bezel on Galaxy Watch to show the time. 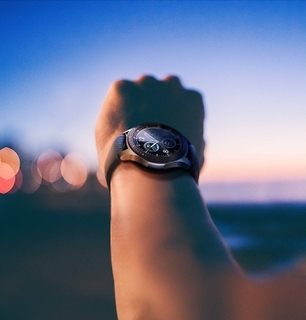 Set the sAMOLED display to show at all times, letting you see the time whether it’s day or night. Enjoy the ultimate freedom of a connected experience without having to carry your phone. 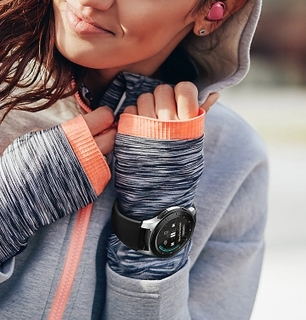 Whether you’re out kayaking, going for a run, or just running errands, your Galaxy Watch keeps you connected. 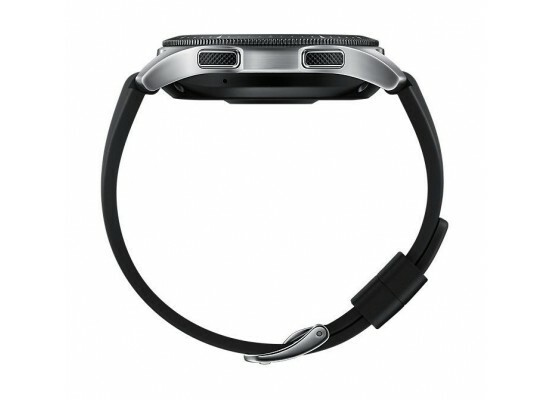 With Standalone LTE, you can manage your day, your activity and your home, all from your wrist. Give your charger a rest. 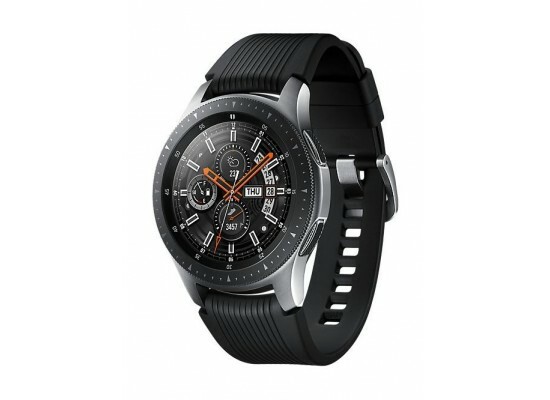 The Galaxy Watch improved battery life of 80+* hours eliminates the need for daily charging and helps you keep up with your busy week. 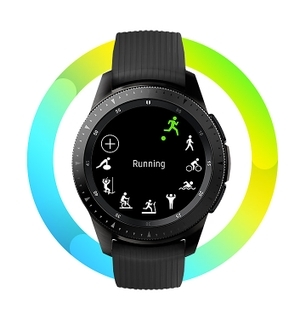 Your own personal trainer, Galaxy Watch lets you focus on more exercise with less planning. With 21 new indoor exercises, tracking a total of 39 workouts, you can easily customize and change up your routine. 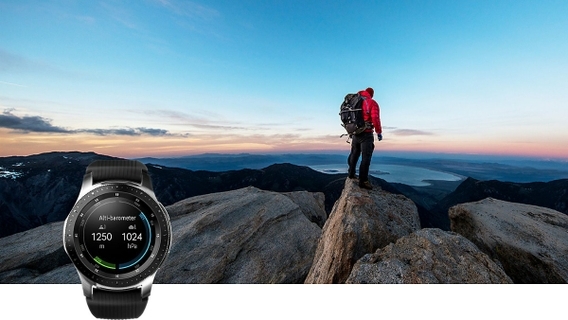 Galaxy Watch makes it easy to accomplish your goals with intuitive calorie tracking and personalized alerts. 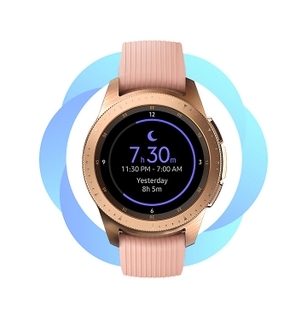 Designed with wellness in mind, Galaxy Watch offers an improved wellness experience with a new advanced sleep tracker that tracks all levels of sleep, including REM cycles, to help you adjust sleeping habits and get the rest you need to take on the day. Wake up to what you need to know. 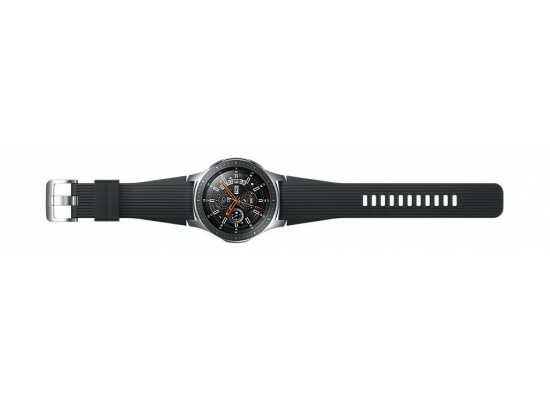 Galaxy Watch detects when you wake up, displaying a morning briefing with the weather, today&#x27;s schedule, reminders, and more. Wear your Galaxy Watch out wherever you go. 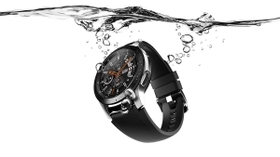 Its 5 ATM* water resistance and military standard durability allow you to be more active outdoors, enduring tough conditions. With Smart Things integration, you can easily control your home from your wrist. For instance, your lights will turn off and the temperature will change when your smartwatch detects it’s time for bed. You can also control your TV, lights or A/C with your Galaxy Watch, and automatically unlock your PC and tablet.